If you're looking for houses or flats to rent in Borehamwood, Finchley, Hendon and Mill Hill, we can help make your search and tenancy as stress-free as possible. 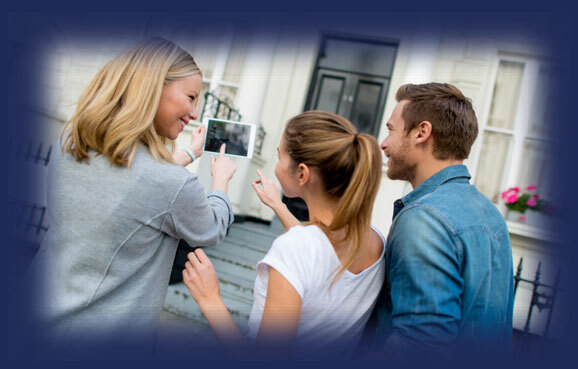 Our team of experienced local agents work across four connected offices in North London and south Hertfordshire, helping you narrow down an ideal place to live according to your individual needs and requirements. 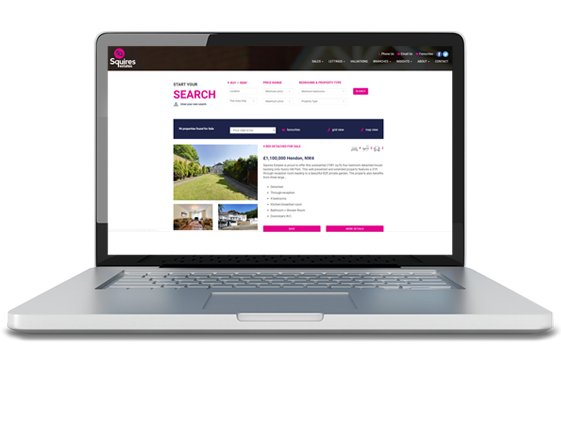 Once you've found what you're looking for, we provide an honest, professional and proactive lettings agent service, paying attention to your needs and responding to any questions you have as swiftly as possible. 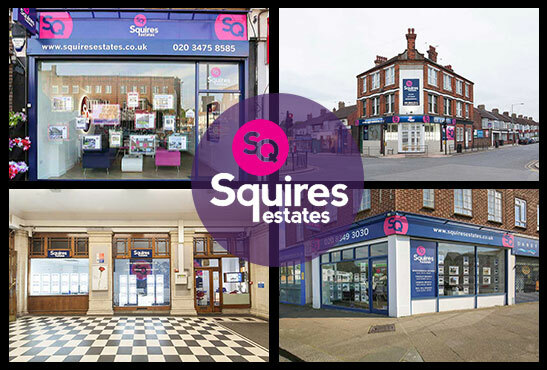 We're an independent estate agent in North and North West London and Hertfordshire, with offices in Borehamwood, Finchley, Hendon and Mill Hill. We know that estate agents often get a reputation for poor customer service, especially with tenants. That's why we assign an individual agent to personally assist you through the entire process, from initial viewing through references to checking in and ensuring that your deposit is held safely and securely. Squires Estates charges a Referencing Fee of £125.00 inc. VAT per person as well as £80.00 inc VAT for any guarantors if required. After the commencement of a tenancy, should an existing tenant be replaced by a new tenant, the new tenant must be referenced by Squires Estates Ltd at a cost of £125.00 inc VAT and will also be liable for a contract and administration fee of £100.00 inc VAT. Tenants are liable for the cost of the Inventory Check Out. The cost is dependent on the size of the property and whether the property is furnished or unfurnished. Pet disclaimers and additional deposits will also depend on the property and the Landlord. If you're looking to rent a property, you may want to broaden your search to as wide an area as possible. Our four connected offices in each location work together to help you narrow down the choices and find your property, even beyond their individual areas. We keep up to date with our clients and stay active in our local property market, and as a result we always have a wide range of houses and flats to rent in Borehamwood, Finchley, Hendon and Mill Hill. If we don't have a property that suits your needs, we'll keep you updated if something comes up in the future. We use high-end software to update you the moment a suitable property comes on to the market, so you'll always get the latest alerts, opportunities and properties directly to your inbox even if your agent is out of the office. When you're looking for a place to rent, you want to be able to connect with your lettings agent whenever you need to. 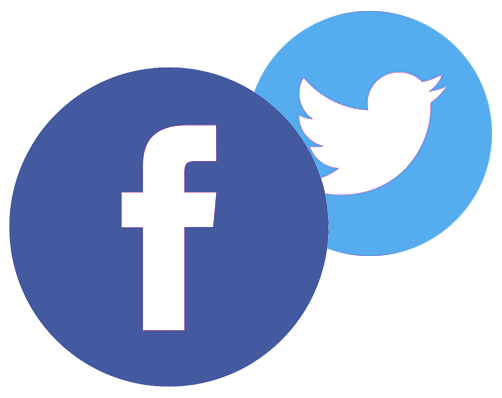 That's why we have a dedicated social media team whose job is to respond to your questions, comments and provide you with the latest updates as and when they happen. We don't believe in just sending you to the property on your own, and we don't think you should have to sleuth out everything about the property by yourself. That's why we'll always show you around the property ourselves, giving you space to view it in your own time but staying on hand to answer any questions you might have.